Hashem is Holy. Hashem has no limitations. People, however, are limited. We need food, clothes, homes, social connection, and more. When we feel lack, the Maharal Maharal classes on Yetzer Hara instructs us that we are vulnerable to many negative ideas and that lack is what the yetzer hara feeds off. Remembering that everything Hashem sends is good is not always so easy, even though it is true. And, if we fall into the negativity, we distance ourselves from Hashem and we distance ourselves from the central idea that Hashem is One, that there is only Hashem. Accepting that we are limited, how can take care of ourselves and continue to approach holiness at times that we perceive we are experiencing lack? How do we remember that everything Hashem sends is good when much that is happening appears otherwise? One tool is to stay focused on loving your fellow Jew (Ahavas Yisroel) and to stay connected to Hashem (and thereby feeling the constant love of Hashem by emulating Hashem’s Yud Gimel Middos (13 Attributes of Hashem - for a detailed understanding of how His Attributes manifest and how we can emulate those attributes in this frame of reference please see Tomer Devorah ). Because Hashem is Infinite, this offers a path of closeness and connection to Hashem that is infinite, and offers an accompanying sense of pleasure that can continue to grow unbounded. When we bring in one of the 13 attributes of Hashem into the darkness, we shine a light that dispels darkness and we benefit from bringing in this light as well as from the attachment to His Attributes. The closing paragraph of Tomer Devorah offer us a mandate: "This completes our explanation of the Thirteen Attributes in which a person should emulate his Creator. These are the Supernal Attributes of Mercy, and their quality is, that just as a person conducts himself in this world below, so will he be worthy of opening up the channel of the same Supernal Attribute Above. Exactly according to his conduct, so will he bestow above in the Supernal World the same and he will cause that Supernal attribute to shine here in this world. For this reason one should not divert his mind from these Thirteen Attributes or allow these verses to depart from his mouth; so that he should remember them when a situation rises requiring the use of one of these attributes. He should then remind himself and say 'behold, this action which is required in this situation is contingent on this particular attribute. I will not budge from it, lest this attribute become concealed or disappear from the world.' "
Rabbi Frand, speaking about Loving Your Fellow Jew, explains that much goes wrong because of jealousy, which is a reaction to a feeling of lack. With jealousy, a person perceives a wrong was done to them when, in fact, the other party has not done anything wrong. Rabbi Frand asks if we are ever jealous of another person's eye glass prescription, explaining that it is designed specifically for that person. So too, whatever we have, and whatever other people have, is designed exclusively for that person. If someone has something that I do not, then I do not need it for my mission. If I have something someone else does not, they do not need it for their mission. Hence, there is no cause to be jealous. Nevertheless, much work must be done to overcome the sense of lack and jealousy. Think of a snake where the head of the snake is an erroneous belief and the tail is spiritual destruction. Everywhere in between is a minefield of averahs and distancing from Hashem. With our perceptions, we often misperceive things - that is the head of the snake. Emotionally, it might seem true to us, but it may not actually be true, generating doubt in our minds. We often look directly into this negativity and become mesmerized by the snake - our judgments of events, our fears, scary events, etc. generate a brief moment where we forget our connection to the idea that everything Hashem sends is good. What happens next is that we consider the impact of this fearful thing on our comfort, our rights, on ourselves, and then we soon become trapped somewhere along the snake's markers - going deeper into negativity and away from connection, thinking through how we will protect ourselves from the perceived matter without necessarily re-considering the trigger point. Even the smallest possibility that our perception could be true keeps us focused on our self-preserving objectives and thereby mesmerized. Hopefully we will find our way out but it can be very very hard when we are hurt or offended. Why is it so hard? With what does the yetzer hara mesmerize us? We are "ME"smerized by ourselves, with our natural concern for our feelings and a sense of loss, either to our dignity, our possessions, or our connection to Hashem. Our focus has now become ourselves, what is just and right and within an adult's purview to pursue. One of the things that we value is our own sense of well-being and our adult ability to maintain control over our prowess to provide it for ourselves. Our self-image is what mesmerizes us - Rabbi Frand in his shiur on anger simply put it...(s)he did that to ME? To me (s)he did that? And we are off to the races, never bothering to re-examine or investigate if that subconscious trigger thought (remember this all began with a brief perception that broke our primary relationship - our connection to Hashem - by casting doubt on our knowing that everything Hashem sends is good) to see if it was true or not. What has happened is that we let go of our connection to Hashem for one second and we became lured away because of human nature's natural self-interest. This is likened to a stranger in a car offering a candy bar to a child. We all teach our children not to get into the car with strangers even if they seem friendly because we don’t want to go where the stranger really wants to take us. The candy bar is tempting but we have to be smart enough to see it for the lure it is, taking us to a dangerous place we definitely did not intend to set course to go. In the same way, our intelligence tells us to react for our justifiable self-interest and this becomes the focus, overlooking the investigation of the matter's veracity. We need to take control of our actions when we are emotionally upset and dig ourselves out of our negativity. How do we dig out? If a person commits to total responsibility in thought, speech and deed, and desires a sense of self-determination (i.e. no victim mentality, we are always making choices even if the options are not to our liking), and if that same person has strong emunah, (s)he can dig out of it! The answer lies in realizing that there is an "I" in this frame of reference as well as an "I" that exists in an eternal frame of reference. We can learn from the outcome of something that happened to Rabbi Akiva's daughter. Rabbi Akiva's daughter was destined to die on her wedding day but because she did a chesed (she gave her meal before her wedding day to a poor man no one noticed because they were too busy preparing for her wedding), and when she went to bed, she took her hairpin and placed into the wall. Unbeknownst to her, her hairpin killed the snake intended to bite and kill her. Because of her act of kindness in giving away her dinner to a poor man, the decree against her was cancelled. This is the power of kindness. Rabbi Akiva's daughter's action countered an evil decree against her, for whatever the Heavenly court had deemed it necessary for originally was now removed. As we know, the Heavenly Court's prosecutor is the Soton, who is the Yetzer Hara who tempts us to begin with and who then prosecutes us in court. Each person also has an internal component of the yetzer hara. The role of the Soton is to test us, and we struggle with negativity. When we are in the clutches of negativity, if we can set aside our natural instinct for self-preservation for a moment to realize that there is an erroneous belief that we are staring into, then we can "pin the head of the snake". We don't want suffering, we want our connection to Hashem. Instead of following the erroneous belief causing the appearance that something besides Torah, mitzvahs and middos are in order, we can use our free will (behira) and turn to do an act of kindness, or emulate another of His 13 middos. This shows our emunah (faith) and our bitachon (trust) that, in fact, Hashem is the only power there is, there is no other power, and that everything Hashem sends is good. More simply put, if the matter from which we are suffering is one where we have no control nor one where we have concrete facts to move forward in a productive way, it is not enough to rely on our intuition, which tells us it could be true or real, thrusting us into a defensive mode. Instead, while we are aware on some level of a possibility, we must "pin" the snake with "I am not lacking anything and I don't want suffering I only want my connection to Hashem" and turn away and concretize our trust by doing chesed or otherwise pursuing the matter in a manner emulating His middos in order to walk away from the yetzer hara before it mesmerizes us with our own natural self-interested goals. From the perspective of the six constant mitzvahs, Six Constant Mitzvahs, the tools are there is no other power - if it is impacting me, it is from Hashem no matter how it got there, no matter whom might be a suspect. The yetzer hara has no legs and cannot follow us, and this is how we know it was, in fact, the yetzer. From the perspective of Miriam Adahan’s Emotional Truth Established Through Torah, the tools are the Step 3 replacement beliefs, which eventually replace the erroneous beliefs (cognitive therapy). My experience is that as helpful as these tools are, it does not compare to the comfort of being treated properly and having things go normally -a big relief. But if we are seeking spiritual growth, and not comfort, the joy and pleasure of connection far surpasses it. And, we come to see the triggering events as something to transform into spiritual growth and benefit. Now lets elaborate further because very often another person truly did cause our pain with a remark or action, and this needs to be addressed. First, however, let's look at a situation where the intention of the triggering party was innocent and the triggering party is not aware that the pained party has suffered. The pained party may be insecure, anxious, or a host of other reactions. This places the pained party within their reaction and passed the head of the snake, passed the erroneous belief, and well into negativity. Usually a person would like to mention the matter to the triggering party, for clarification, for the possibility of an apology, or, for the higher purpose of allowing the triggering party to clear it up and thereby be relieved of any responsibility in the next world for inadvertently causing the pain and not rectifying it here. To do this requires confrontation of some sort, something distasteful to both parties because it is fraught with opportunities to do harm. The pained person, if expressing her/himself with anger and blame, can obviously cause harm and the triggering party, even though initially unaware of causing negativity, may now form a negative judgment about the pained party and say something negative. Wowee what a minefield. Let's look at how total responsibility and emunah can relieve the need for a confrontation. The pained party has the free will to search their mind to give the benefit of the doubt. Not only that, the pained party can forgive the triggering party completely. Why do this? The key component here is to know that whatever the triggering party did, if it was intentionally harmful or not, will be dealt with justly by Hashem. Every act between two people has also a component of Ben Adom L'mokom (between man and Hashem). A person can forgive the hurt another causes them but if the triggering person has not done teshuva, that person will still receive shepharding from Hashem to benefit their own spiritual growth. It is not necessary for the pained person to hold the harm in her/his heart in order to assure that the triggering person will correct her/himself. Again, we are dealing here with an example of a perceived injustice and not a factual or obviously hurtful outward act. With the six constant mitzvahs and a commitment to Ahavas Yisroel, the pained person can see that it is from Hashem, can find a way to emulate His Middos and thereby draw closer to Hashem. And it is important to forgive the triggering person too so that there is no need for the triggering person to know it even happened and then have to ask mechilah. That is the easy case, of an insecurity causing the pain rather than a blatant act. Now let's look at the blatant act. Let's say there is a factual basis for the pained person's feelings. The issue of resolution depends on the triggering person's sense of responsibility and desire to appease. Let's say that the triggering person in this instance desires not to take responsibility and declares her/himself not guilty due to some excuse or blaming of the pained party. How will the pained party proceed toward regaining a sense of well-being? Surely our well-being can't be dependent on the proper conduct of the triggering party. Here again we see that the model above works. We search to give the benefit of the doubt or to be mevater (overlook) for the sake of peace and we emulate Hashem's Middah of forbearance. And we forgive the person in our heart recognizing that the triggering person is trapped in her/his limitations. Does that make us strong or weak, hero's or victims? This is an example of a person who recognizes that the purpose of our time in this frame of reference is to become holy, to utilize our opportunities to their fullest. By being mevater (overlooking) and forgiving, we bring in great light and shefa (spiritual energy). So, if this is true, why do people balk at this? It is because the word "I" is associated with the I of this frame of reference and not the eternal "I", the I that existed before our bodies and will exist in another frame of reference after our bodies decay. This is the way to remember to pin the head of the snake - we see ourselves on the continuum from before life, infancy, childhood, adulthood, old age, death and after life, struggling each second with the true "I", gathering what we will for our treasure chest of eternity. And make no mistake, with proper emunah and knowing there is Hashem, we provide comfort for the "I" in this frame of reference. No one gets away with anything. We are all in the same spiritual system whether or not the parties realize it. The pleasure and joy of bringing this shefa into the world can grow much stronger than the pleasure or comfort we might get from satisfying ourselves in this frame of reference for it brings an emotional relationship with the Creator and makes that relationship primary. On what merits will we be redeemed from this golus? It is said that we will be redeemed because of the merits of our forefathers, Avraham, Yitzchak and Yaakov but also on our desire for kedusha. For the purposes of this essay, kedusha means rising above our physical, earthly limitations in order to bring into this world the Divine Will, both in mitzvahs and in emulating His Yud Gimel middos. A desire for kedusha means that the desire for the resulting relationship with Hashem becomes our primary motivation in order that we may throughout our day experience this source of great joy (an actual experiential joy). We have free will – do we, with our free will, choose kedusha? Or are we flooded by the demands of every day life to a point where the flood has or has almost extinguished the flame inside our own private mizbeach? What “floats your boat? Is it succeeding and feeling mastery in achievement oriented daily pursuits? If so, are we expending more of our holy energy on what, in the end,is a sophisticated game of life than on what Chazal tell us is our purpose here? Are we concerned that our wisdom and our judgments be seen as right and true or are we concerned that with our wisdom we are capable of bringing in the wisdom and middos of the Highest Consciousness? Do we feel strength in connection to a group of like-minded powerful people (and fear of being rejected) or do we feel strength from connection to Hashem and being small and beloved in His eyes? The goal of this essay is to suggest that we all take up pursuing a desire for kedusha as a daily involvement, believing that we can develop a joyful relationship with Hashem through mitzvahs and emulating His middos, a relationship for its own sake, but knowing that thereby we will also be acquiring merits and eternity. This is ongoing work on an infinite path. Many people have a favorite game. When I was young, my dad loved baseball. I remember sitting on his lap and watching Yankee games – I knew the names of the players, the number on their uniform,all the rules of the game. It was one of the main ways to be a part of my father’s life. I did it for the relationship and I still like baseball. Those early memories are the reason that I am still interested in the World Series playoffs. I can picture the baseball diamond, follow the radio announcer’s descriptions of the game, and feel the excitement. Wow. A nice distraction. Yet I hesitate to listen to the game because I fear it will strengthen the part of my soul that craves satisfaction from this world activities rather than the part of my soul that craves closeness to Hashem and holiness. Ultimately, I want to feel excitement and interest in activities that deepen my relationship to Hashem –mitzvahs and emulating His middos. As a Baalas Teshuva, it has taken me many years to acquire a taste for closeness to Hashem. But I believe I have an inkling of it at times. And, even when I don’t have the joy of feeling close to Hashem, I have the memory of the smattering moments when I felt connected – a sense of shelamos, of joy, of being small and beloved in Hashem’s arms. At those rare moments, I have a perspective on my physicality that I believe is healthy – a temporal existence that allows me time and gives me opportunity to attach to what is eternal. What is so amazing though is how easily a moment of fear or anger can cloud the pathway to that immense pleasure. Human nature. We all have a yetzer hara, an evil inclination. One day, when the Moshiach comes, the yetzer hara will be no more and we will no longer have the opportunity to press against it and grow. But now we do. And every moment we are aware of its interference, we can say I want to rise above it, to overcome it and ask Hashem to help us. And He will. Doing so is, in my opinion, the pre-eminent pursuit of happiness, something that I want to occupy my time at every moment. The key is that we have to want to overcome (and not want)what the yetzer hara tells us is the greatest pleasure – power, control, revenge,desire, etc. If I have any doubt that the greatest pleasure is the sense of closeness to Hashem, if I can’t remember that, what will keep me from pursuing the seemingly logical steps that the yetzer hara lures us with? After all the yetzer hara sounds more like our best friend than our mortal enemy, especially when we see that “everyone is doing it,” and that, in a culture where externalities are defining who we are more and more, the inner self is quite diminished in our own eyes. Our subsequent sins, heaven forfend, may even look like mitzvahs to us! But they cover up our holiness and we are, in reality, cutoff from the most pleasurable experience of life, closeness to Hashem and the sense of blessing that comes from bringing in shefa and from doing actions that are pleasing to Hashem. How can we choose to pursue kadosh? Each person is an individual and has an individual answer. There were twelve tribes because no one tribe could adequately represent all the many facets of Hashem and His attributes. Together, we are Klal Yisrael. There is no one way that is right. There is merely a Torah-dic way to process through our free willed choices. 1. Do I de-humanize people and objectify them for my own purposes? 2. Am I considering my eternal self when I make choices? Am I taking into primary consideration the part of me that will experience the consequences for eternity rather than the part of me that ishere to help me accomplish my mission? 3. Am I playing games with people for my own gain or do I truly see them as made in the image of Hashem and treat them as such – giving to them, treating them with Hashem’s Yud Gimel middos? We all have a yetzer hara. We will until the Moshiach comes. Yet we all have a tzelem elokimas well. When we look at each other and see only the yetzer hara, we are missing the most precious thing about every person – Hashem loves every single one of us and we are connected, one body with many limbs and organs. Our yetzer hara would have us think that we can do something to one person that we are not doing to ourselves and all of us. That is simply not true. We can choose to see what we have in common and how that is truly everything. We love each other even though we all have yetzer haras and are struggling with this work. That is Ahavas Yisrael. So, the next time we are frustrated, angry, feeling powerless, upset, or any other negative feeling driving us to “take action”, if we remember that everything is happening for our ultimate growth and development (to rectify us, to bring us closer to Hashem), we will no longer feel the need to be upset with the messengers Hashem used to bring the matter to our attention. Suffering strips away all the externalities that can cover over our neshamas. Instead, let’s remember the joy of closeness and ask Hashem to help us rise above our initial reactions and rise upward in our soul, soothing us as we re-gain a sense of being small and beloved in His Arms. 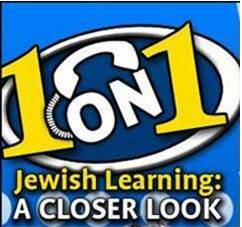 What mitzvah can I do? Which of Hashem’s Yud Gimel Middos might I emulate here? Which message of the yetzer hara will I be turning away from (indignation, jealousy, desire, insult)by turning toward Hashem? What action can I take that will concretize my choice to rise above my natural inclinations in pursuit of kedusha? May Hashem help me to keep the fire on my mizbeach burning. In this Torah shiur (class) on the centrality of Torah study, Rebbetzin Tzipora Heller speaks about the two areas where the Yetzer Hara is most likely to destroy its victim, unless there is protection provided by Torah, Yirat Shamayim (Fear of Heaven), and Anava (Humility). In this Torah shiur (class) on the essence of Torah, Rebbetzin Tziporah Heller describes how Torah leads a child to discovering his or her inherent goodness, and in developing inner structure and self discipline.